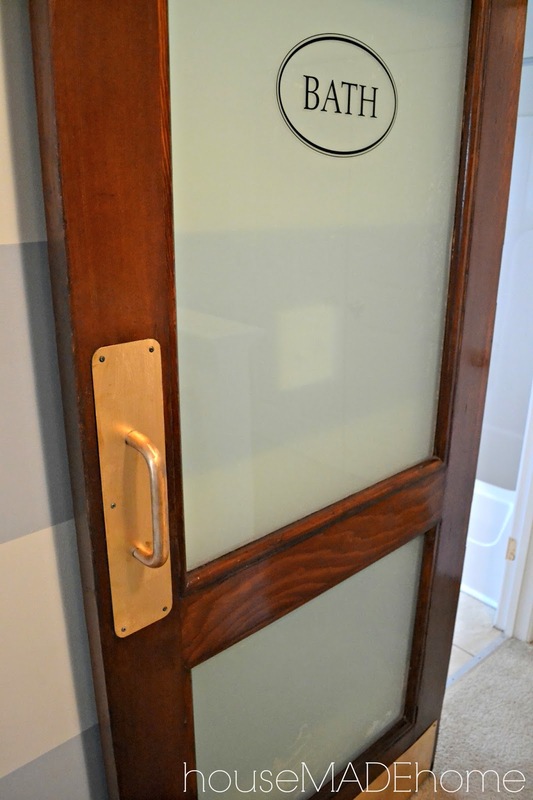 As promised last week, I'm revealing the final look of our barn door today. It was definitely a tedious project, but well worth it. 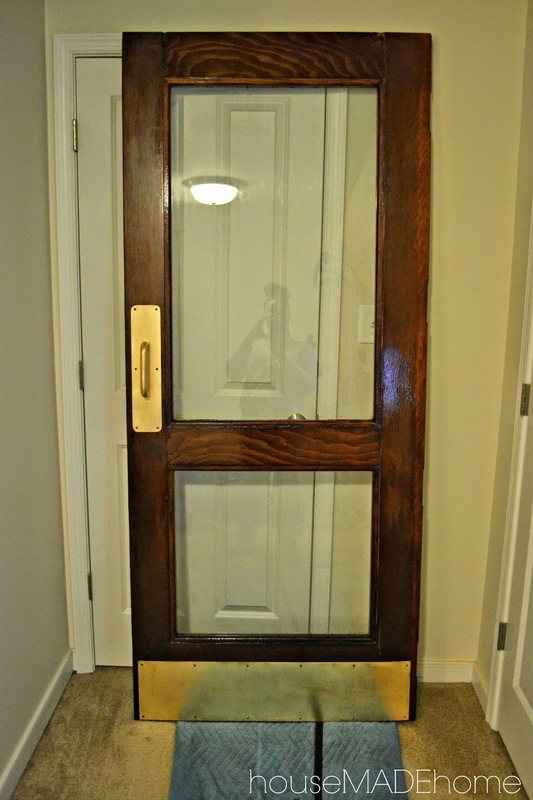 Like I mentioned in this post, we had to remove the vinyl lettering, window tinting, fill cracks in the wood with wood filler, sand and re-stain, and I even sanded and cleaned the hardware once I realized that under all of the grime was copper...such a nice surprise! 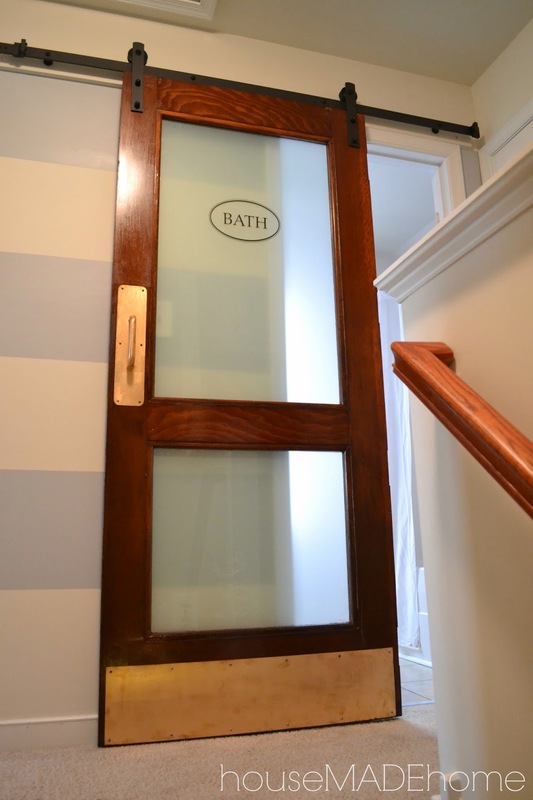 I found a bath decal from Etsy which added a nice touch to the door for only $8.00...score! 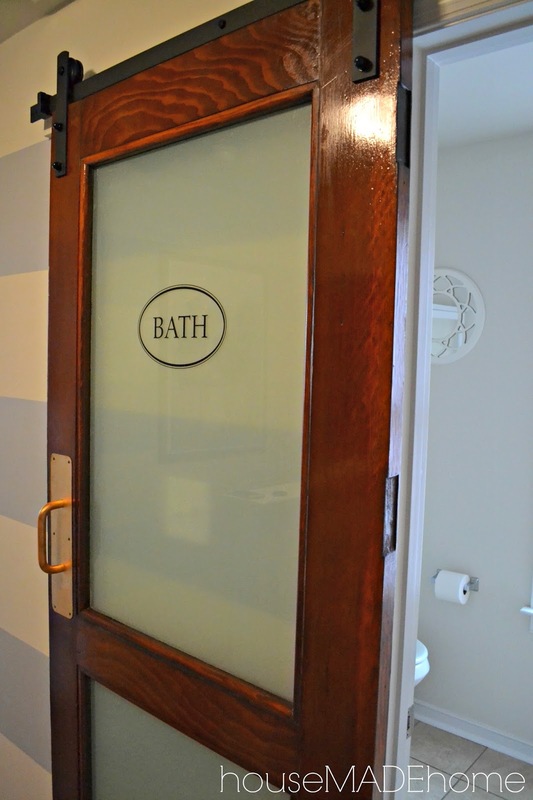 I also added window frosting for privacy, but I'm not loving it. I can see imperfections, so my plan is to hire a professional to install window film in the near future. I will share more details on that later.